Some statistics can be manipulated. In polling, a lot depends on how we ask the question. When it comes to NATCO and our delivery history, the numbers are transparent. Case in point: the most recent update to Our Trucking Network, which now includes our delivery history for 2018. 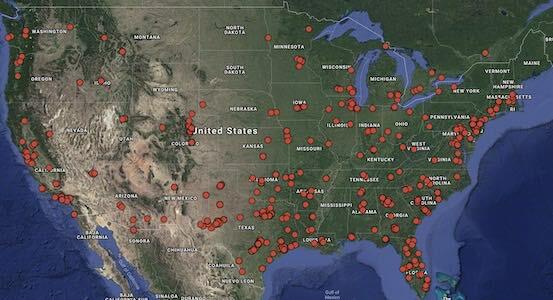 So, if the numbers don’t lie, what can we make of all those dots on a map? The overall picture reveals very active concentrations in a number of regions. Northern and Southern California, Florida, the Carolinas, the I-95 corridor, the Chicago area, pretty much all of Texas (especially the Dallas-Fort Worth area): all are well-represented by NATCO-coordinated deliveries for the year. Some 40 percent of the U.S. population (more than 126 million people) lives in counties touching the coast. 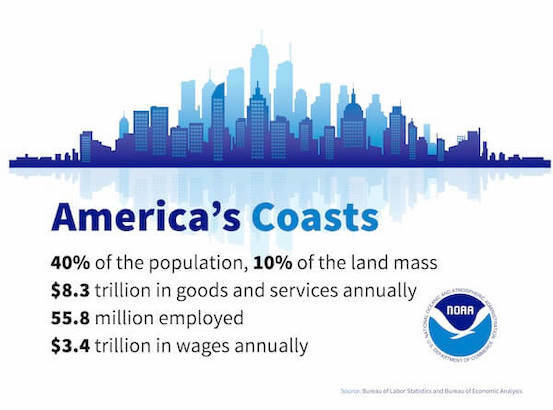 (Fun fact: the nation’s coast represents less than 10 percent of our land.) That represents some 56 million jobs, producing more than $8.3 trillion in goods and services. Clicking on any given marker will also show you the miles driven to reach the off-load point. Our shortest delivery last year? To Charlotte, NC (7 miles). Our longest? To Martinez, CA (3,133 miles). For Team NATCO, quality will always best quantity. And South Dakota, we hope to see you again this year.